Sunday’s Malaysian Grand Prix may have been won by Sebastian Vettel but the main talking point of the race was the use of team orders in the final few laps from both Red Bull and Mercedes. The decisions from both teams led to an awkward podium and could prove to have ramifications for harmony within both teams. I take a look at the wider picture and see where each team stands after round two. Sebastian Vettel may have won the race but the majority of F1 fans felt he had taken the victory from teammate Mark Webber. This race has certainly shown Vettel in a different light- and it’s not a positive one. Vettel appeared to show arrogance at points in the race telling the team over the radio: “Mark is too slow, get him out of the way. He is too slow”. He continued to race Webber closing in on him despite both being told to turn down their engines and hold station after the final round of pit stops. Vettel continued to ignore team orders pushing Webber for the lead and eventually passing him. His blatant decision to ignore the team orders didn’t go down well with either Webber or Christian Horner. What should have been a positive result for Red Bull has turned into a rift between their drivers that doesn’t show any signs of healing soon. Lewis Hamilton may have taken his first podium for Mercedes but there was a similar feeling between the drivers as at Red Bull. Hamilton had benefitted from Rosberg being told to hold station despite him having the pace to pass Hamilton. Speaking on the podium Hamilton admitted Rosberg should have secured third place since he had the better pace during the race. Despite appearing angry following the team decision Rosberg said he knew if he had been ahead the situation would have been the same. There was also a moment early in the race when Hamilton attempted to pit at his former team McLaren’s pit box, he apologised to the team for the mistake. Despite the issues surrounding the team orders it was a good result overall for the team who are fourth in the constructors championship just three points behind Ferrari. Felipe Massa took fifth for Ferrari despite having start on the front row. Massa lacked the pace of the leaders but fifth was well deserved after a battle with the Lotus’ of Romain Grosjean and Kimi Raikkonen. The race was a disaster for Fernando Alonso on his 200th Grand Prix appearance when his damaged front wing collapsed underneath his car. Alonso had run into the back of Vettel on lap one and then gambled his damaged wing could last until his first pit stop. Massa now leads Alonso in the driver’s championship by four points and the team have slipped to third in the constructors championship. Malaysia will appear like a missed opportunity for the team. Malaysia proved to be a disappointing weekend for Lotus despite a double points finish. The team took sixth and seventh position with Romain Grosjean and Kimi Raikkonen but the car showed none of the tyre preservation it had in Melbourne. Both drivers had a battle with Felipe Massa throughout the race. 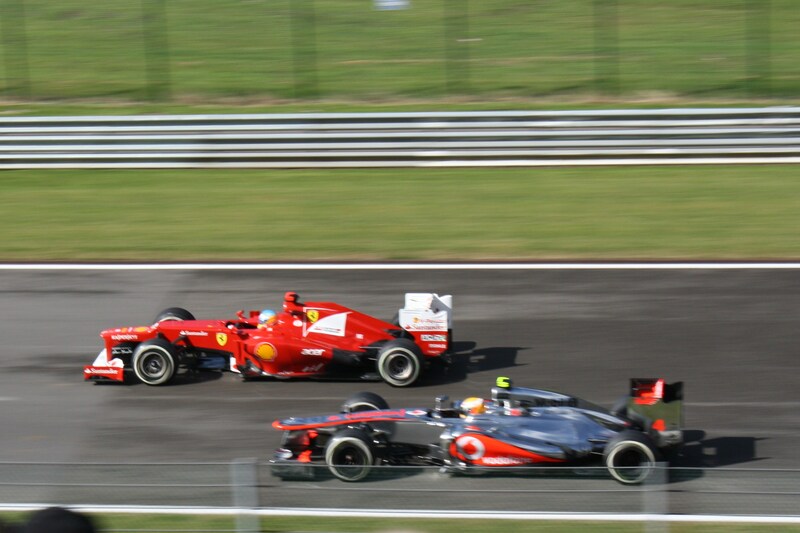 Raikkonen also battled with Nico Hulkenberg, with the Finn becoming frustrated with the German’s defending. He eventually passed the Sauber driver and both drivers finished the race with just three pitstops compared to their rivals four. Raikkonen is now second in the driver’s championship and the team are also second in the constructors. Nico Hulkenberg recovered from the disappointment of not starting the Australian Grand Prix with a points finish in Malaysia. The German battled with Kimi Raikkonen before finishing the race in eighth and securing Sauber’s first points of the season. The race was also positive for Hulkenberg’s teammate Esteban Gutierrez who finished 12th after having earlier ran in the points. Although the team may have benefitted from some of the misfortune of other teams, the pace they showed today seems to suggest they will be in contention for points throughout the season. A mixed day for McLaren with only Sergio Perez finishing in the points. Perez took two points for McLaren after a ninth place finish taking their constructors total to just four points from two races. Jenson Button’s race had started off well with him holding fifth for much of the early stages and then leading at the third round of pitstops. However a botched pitstop saw his right front wheel not secured properly and despite recovering to 12th he later retired with mechanical problems. McLaren were not expecting things to be much better in Malaysia but they have missed an opportunity for a reasonable result and those 10 points that Button could have finished with will be sorely missed. Jean-Eric Vergne secured tenth place and Toro Rosso’s first points of the season in Malaysia. Despite a pitstop incident in which Vergne and Caterham driver Charles Pic tangled his tenth place was not affected. Vergne had been released from his stop as Pic turned into his pitbox in front of him, the impact breaking the front wing on both cars. Vergne kept going and the team were consequently fined $10,000. Daniel Ricciardo failed to make the finish retiring on lap 51 with exhaust issues. Overall an average weekend and a well deserved point for the team. Valtteri Bottas finished 11th for Williams after starting the race from 18th. Despite a commendable drive it was not enough to secure points and Williams remain in ninth in the constructors title with no points. Pastor Maldonado failed to finish a second race in a row after an off track adventure broke his front wing and he later stopped on track. Bottas‘ performance will be encouraging for the team but Maldonado will need to improve his consistency. Sunday was a good day for rookie Jules Bianchi who finished the race in 13th place beating Caterham rivals Charles Pic and Giedo van der Garde and also his teammate Max Chilton. British driver Chilton was the final finisher of the race and it is the second time he has been beaten by his fellow rookie teammate this season. Caterham failed to match backmarker rivals Marussia with both Charles Pic and Giedo van der Garde being beaten by Jules Bianchi. Pic picked up a damaged front wing after a collision with Toro Rosso driver Jean-Eric Vergne. Toro Rosso were later fined $10,000 for the incident. Sunday was a disastrous day for Force India’s pit crew. Issues at Adrian Sutil’s pitstop delayed both him and teammate Paul di Resta who had pitted behind him to replace his intermediates. Both drivers fought back but when Di Resta pitted issues with wheel nuts prolonged his pitstop and he was left at the back of the field. The drama continued with Sutil who faced a similar problem and found himself at the back of the pack. Both drivers later retired which the team were disappointed about considering the pace the car had shown over the race weekend. Sebastian Vettel took pole for Sunday’s Malaysian Grand Prix beating Felipe Massa to the top spot. Vettel was just under one second faster than Massa during the wet Q3 session that saw all drivers set times on the intermediate tyres. Massa’s strong time saw him qualify ahead of teammate Fernando Alonso for the fourth straight race. Alonso will start tomorrow’s race from third. Lewis Hamilton will start tomorrow’r race from fourth ahead of Mark Webber who was some way off the pace of his teammate. Nico Rosberg set the sixth fastest time in the second Mercedes ahead of Kimi Raikkonen who set the seventh fastest time but will start tomorrow’s race from 10th after a three place grid penalty for impeding Rosberg. McLaren’s Jenson Button will start from seventh after Raikkonen’s penalty, showing the McLaren to look better in the wet conditions. Adrian Sutil made Q3 after setting the pace in Q1 and the fifth fastest time in Q2. 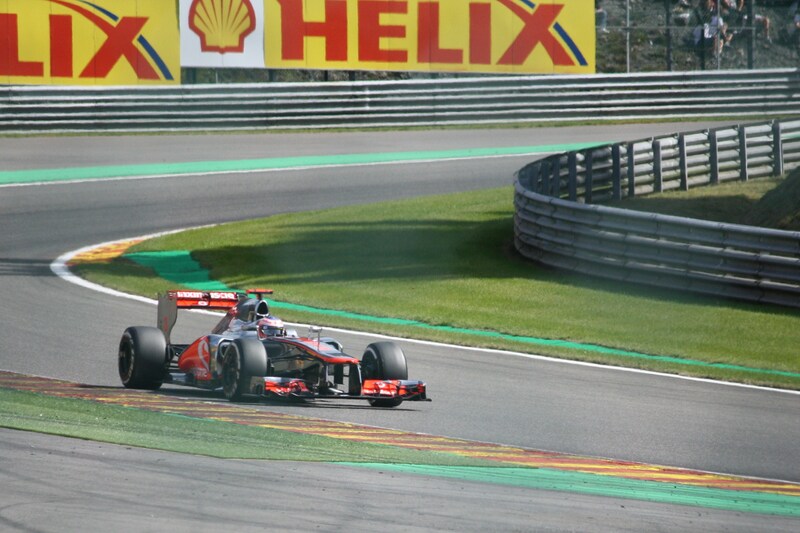 He set the ninth fastest time but will start from eighth following Raikkonen’s penalty. Behind him Sergio Perez made Q3 for the first time in his McLaren career and will start from ninth. The rain in Q2 caught out a number of drivers who found themselves unable to make Q3. Romain Grosjean lost out setting the 11th fastest time and Nico Hulkenberg the 12th fastest after the teams weather telemetry made them unaware of the approaching rain. Daniel Ricciardo was 13th for Toro Rosso and Esteban Gutierrez 14th in the second Sauber. The biggest loser of Q2 was Paul di Resta. The Force India team were not expecting the rain and abandoned his initial lap in the dry running leaving him only to set a time as the rain began to fall. Behind him Pastor Maldonado starts from 16th and Jean-Eric Vergne from 17th after failing to make Q2. Valtteri Bottas set the 18th fastest time ahead of Jules Bianch, Charles Pic, Max Chilton and Giedo van der Garde. The race is at 8am UK time. Full coverage of the race can be seen on Sky Sports F1. Extended highlights of the race are on BBC One at 2pm. 1. Weather: Malaysia is known for its unpredictable weather. Over the last four years it has rained on at least one of the days of the Grand Prix. Take 2009, the race began in dry conditions but by lap 19 the rain began to fall. On lap 33 the race was stopped and the result was taken from the classification on lap 31. In 2010 qualifying was under wet conditions and saw Fernando Alonso and Lewis Hamilton start the Grand Prix in 19th and 20th place. By the Sunday the weather was dry and Hamilton finished the race in sixth. There was a similar situation in 2012 with Alonso struggling in dry qualifying ending up ninth before winning the race in wetter conditions on the Sunday. One thing is for sure the unpredictable weather makes for an interesting weekend. 2. Tyres: Tyres played a big part in last weekend’s Australian Grand Prix. Those who qualified in Q3 had to start on the supersoft tyres they had qualified on and these did not last long in the race with Jenson Button having to pit after just four laps. Not making Q3 was a blessing for Force India’s Adrian Sutil who had an opposing strategy to all those in front, starting on the medium compound tyre. He lead the race twice before his race fell apart on the supersoft tyre leaving him seventh. 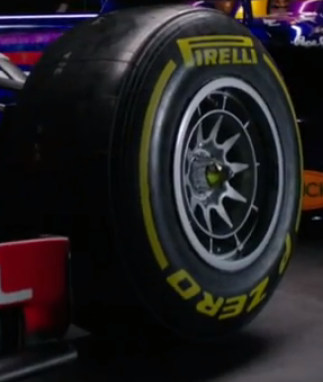 With the weather a deciding factor in tyres as well it will be interesting to see how the teams will handle this factor. 3. McLaren: McLaren’s disappointing Australian Grand Prix makes them a talking point in Malaysia. Only managing to finish ninth and 11th is clearly not where McLaren want to be and doesn’t bode well for the rest of the season. The team will be keeping the same car and package for Malaysia so it is difficult to see how McLaren will be able to improve this weekend. It will be interesting to see how the team try to combat this disappointing performance. The weather conditions may play into their hands but with midfield teams such as Force India and Sauber ahead of them or right on their tail they will have fierce competition to score points in Malaysia. 4. Fernando Alonso’s 200th Grand Prix: Fernando Alonso will take part in his 200th Grand Prix this weekend in Malaysia. However having had two non-starts in Belgium in 2001 and the USA in 2005 this weekend will only be his 198th race start. On the back of an impressive performance in Australia and with Ferrari leading the constructors championship, Alonso will want to produce a race winning performance here. And with the 2013 Ferrari appearing much stronger than its 2012 counterpart that won the 2012 Malaysian Grand Prix it should be a good opportunity for Alonso to win and lead the drivers championship. 5. Two DRS zones: The Sepang circuit will have two DRS zones for the first time this year. For the previous two years there had been a single DRS zone on the start/finish straight and this year will see another added on the straight that leads into the last corner. The position of the detection points of the two DRS zones mean when one driver passes another on the back straight using DRS they then face being overtaken themselves using DRS on the pit straight.